As part of the Regional Environmental Internship Program (REIP), USGBC-Missouri Gateway Chapter is currently seeking an intern to work with the City of University City on an updated Greenhouse Gas Inventory. This is a full-time, paid internship that will start in late May / early June and last through August 2016. Electronic applications are due by Monday, April 18, 2016. Please review the job description below for more details. See an overview of the internship program. Learn more about the Regional Environmental Internship Program. 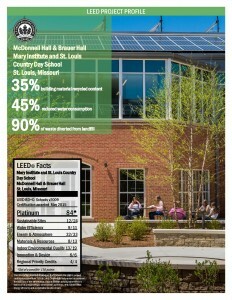 Presented in partnership with the Construction Specifications Institute – Greater St. Louis Chapter. In just the past few years, the St. Louis region has been impacted by extreme weather events, more frequently than possibly any other time in the region’s history. These are not just related to major floods (2011, 2015), but major droughts as well (2012). As a result, it must be understood that climate change is not just a coastal phenomenon, but hits the St. Louis region hard as well. To better adapt to the “new normal,” we need to foster an holistic understanding of the Mississippi river basin, one that includes multiple scales, multiple disciplines and multiple interest groups and communities. Join USGBC-Missouri Gateway and Greater St. Louis CSI for an exploration of the history, management, and development of the Mississippi River Basin. Presenter Nick Reding will provide a narrative overview of how modern river and flood plain management came into being, with an emphasis on James Eads and the early formation of the Corps of Engineers in the 1860s; the story of the Great Flood of 1927; and the New Deal and its legacy, primarily as it relates to the creation of suburbs. Derek Hoeferlin will discuss a holistic view of the Mississippi river basin, pulling upon collaborative research he and his students have conducted. David Wilson will examine the private rewards and public risks of flood plain in-fill development. Referencing the 2015 flood on the Meramec, he will use a case study approach to focus on sites where floodplain infill development has had or can have big impact on the river in flood stage and on adjoining properties. Derek Hoeferlin is a registered architect with his teaching, research, and professional work awarded, presented, and published internationally. Since 2008, he and his students have collaborated with University of Toronto on “Gutter to Gulf,” advocating for integrated water management strategies for New Orleans. His students currently are researching and proposing alternate eco-industries integrated with St. Louis’ river system and water infrastructure. Hoeferlin directs “Deltas + Watersheds (D+W),” conducting collaborative research on global comparative deltas and watersheds—primarily focused on the Mekong, Mississippi and the Rhine—to inform adaptive design strategies. Hoeferlin received his post-professional MArch from Yale University; and MArch and BArch from Tulane University. Nick Reding is author of the New York Times Best Selling book, Methland: The Death and Life of an American Small Town, and The Last Cowboys at the End of the World. A native of St. Louis, Nick lived in New York City for thirteen years, where he worked as a magazine editor, a graduate school professor, and a freelance writer. He has written for Harper’s, Food and Wine, Outside, Fast Company, and Details. He is currently working on his third book, Heartland, about what the Midwest will look like in fifty years. 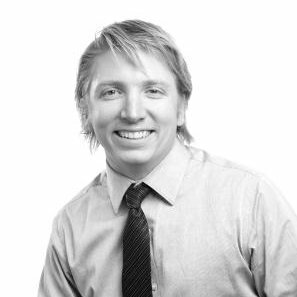 Nick serves on the board of directors of the Great Rivers Habitat Alliance and The Soulard School. He received his B.A. in Creative Writing and English Literature from Northwestern University, and an MFA in Creative Writing from N.Y.U. David Wilson has a wealth of experience in regional planning and community education focused on sustainable practices and water resource management. He is a past member of the executive board of the American Planning Association-Missouri Chapter, and adjunct professor in Environmental Studies and Sustainability at Webster University. He led efforts to develop OneSTL, a regional plan for sustainable development. David received his BA from Yale University and MA from Washington University. Nick Bristow, Senior Project Engineer with FORUM STUDIO / CLAYCO and the USGBC-Missouri Gateway Chapter Chair Elect, together with the Chapter’s Executive Director Emily Andrews, joined Jean Ponzi, host of the KDHX Earthworms radio program, for a panel discussion of “Green Buildings Are Better,” the Chapter’s 15-year anniversary campaign. They explained how green buildings are better for living, working, learning, and playing and discussed the Chapter’s accomplishments over 15 years plus all that is planned for this milestone year. Listen to the recorded program here. Learn more about Nick in his Chapter member profile. Explore the USGBC-Missouri Gateway Chapter online directory to learn more about our members! Visit the Green Building Experts page to learn more about members that have been recognized for their green building advocacy, promotion, and expertise.